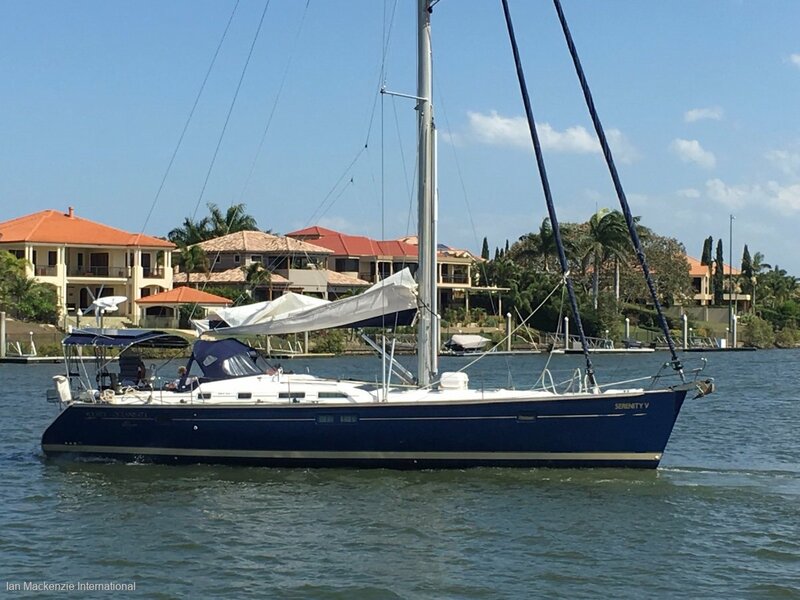 JUST LISTED, ONE OWNER, .. 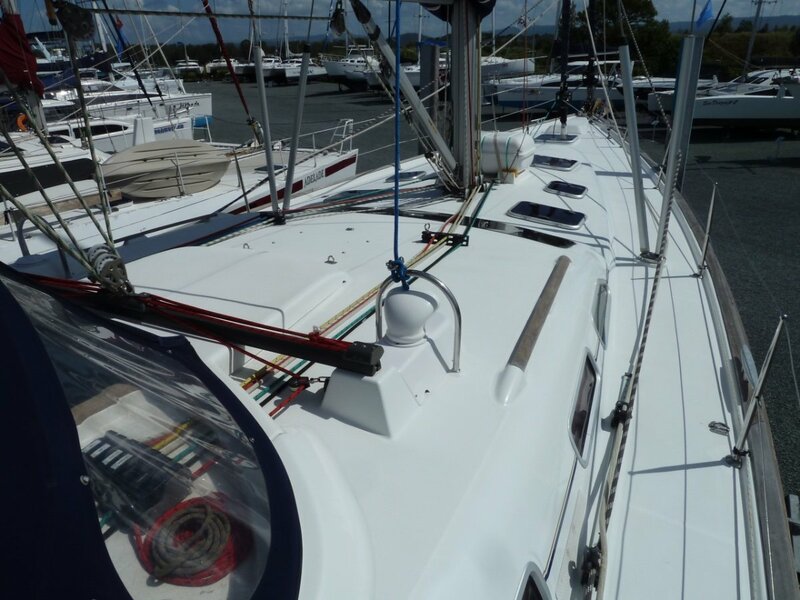 This taller performance mast version is set up for single handed cruising with twin electric sheet winches and one halyard winch, furling genoa and furling staysail, all halyards and reef lines return to the cockpit for short handed sailing, remote switching at helm for the anchor winch, auto pilot, bow thruster and bigger motor (100 hp) for easier handling in marina's. 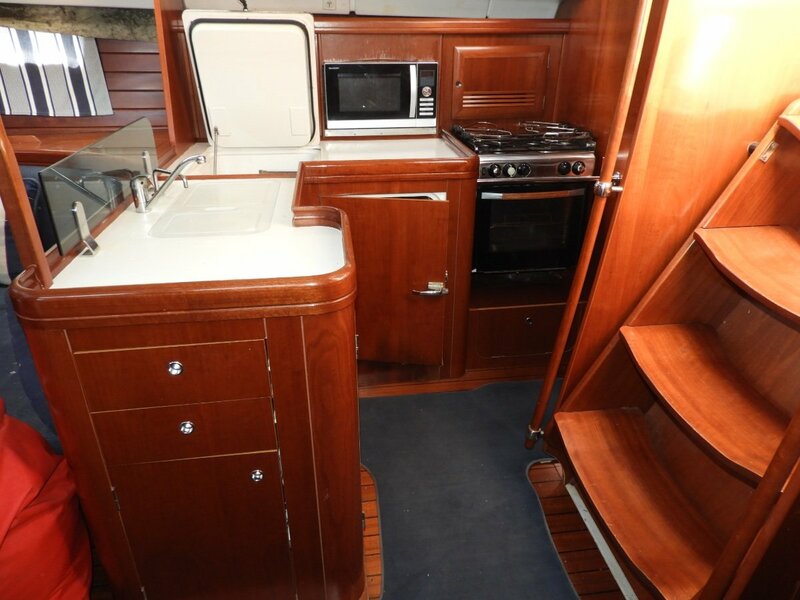 Spacious owner's centreline island bed cabin forward with ensuite, two double canins aft with shared bathroom. 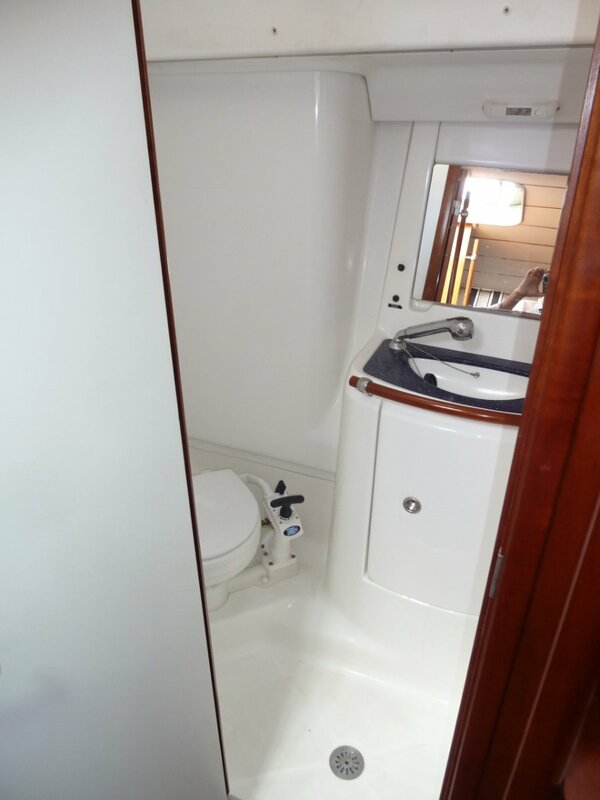 L- shaped galley to starboard or companionway steps opposite the forward facing nav station. 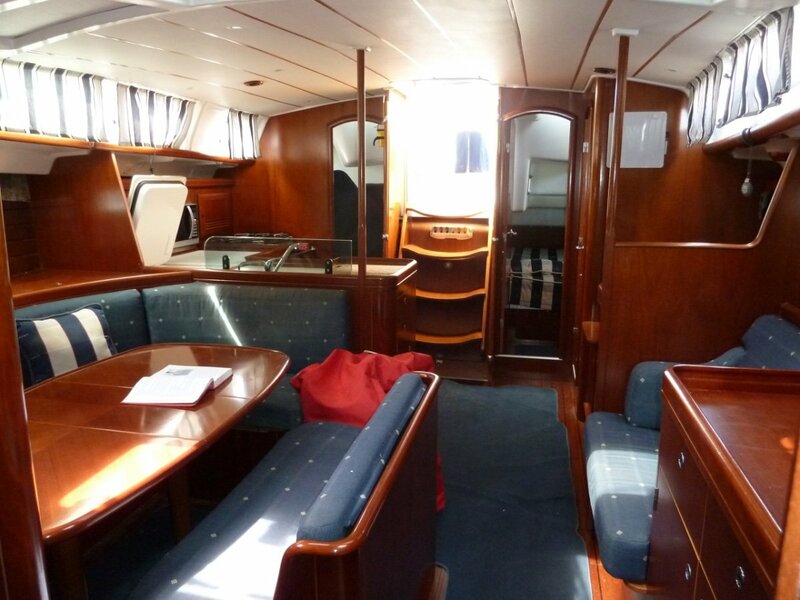 U- shaped settee to starboard with pilot berth opposite in the saloon. 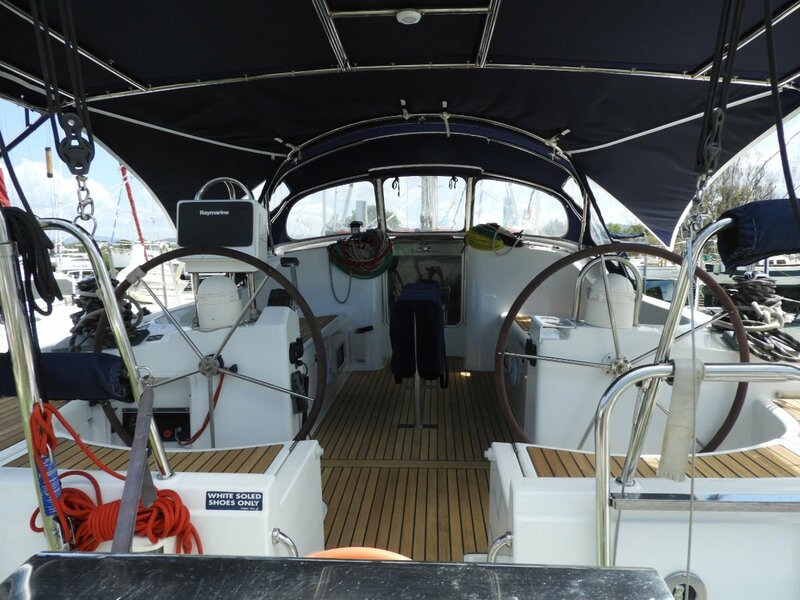 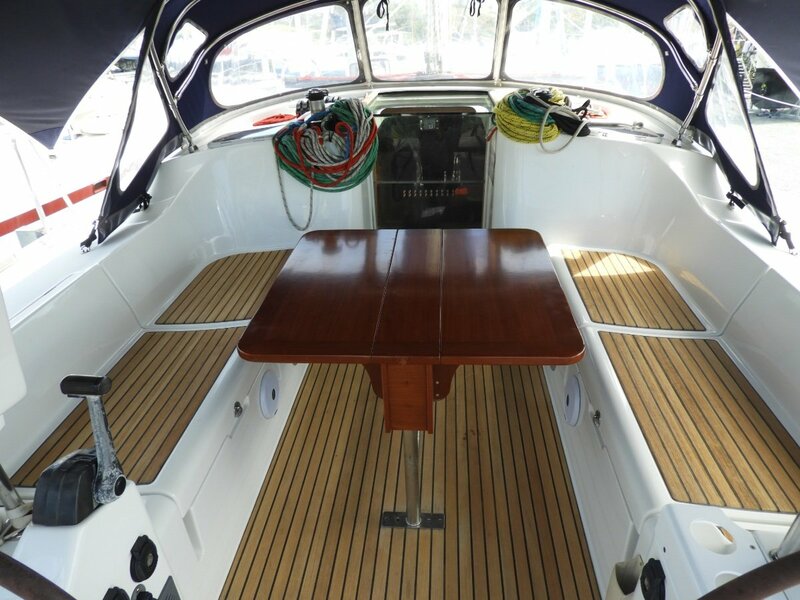 Very spacious cockpit and twin helms for optimum sailing, comfortable seats with cushions, four large storage lockers, spray dodger and bimini with side curtains for good weather protection, teak laid floor and seats. 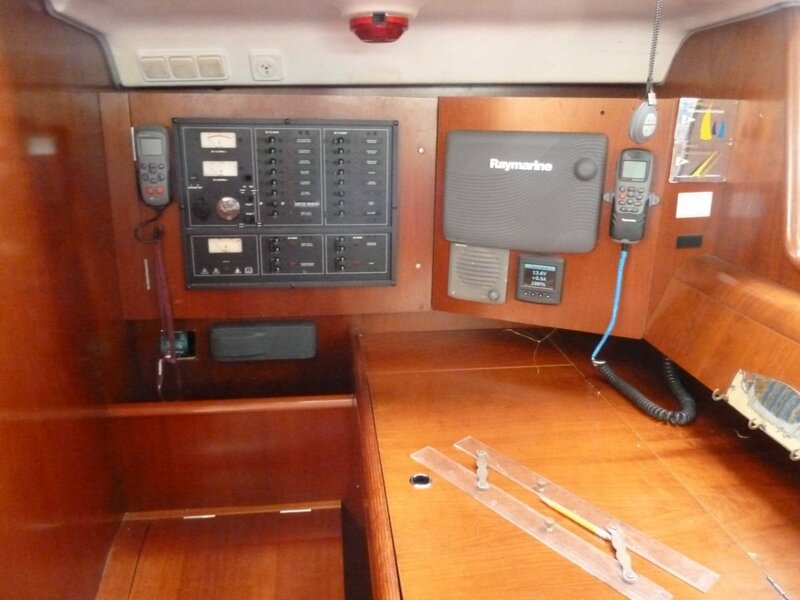 The Commodore Edition came with, Raymarine electronics package, bow thruster, 100 hp yanmar, 2 x electric sheet winches and 1x electric halyard winch, three blade feathering Max prop as standard. 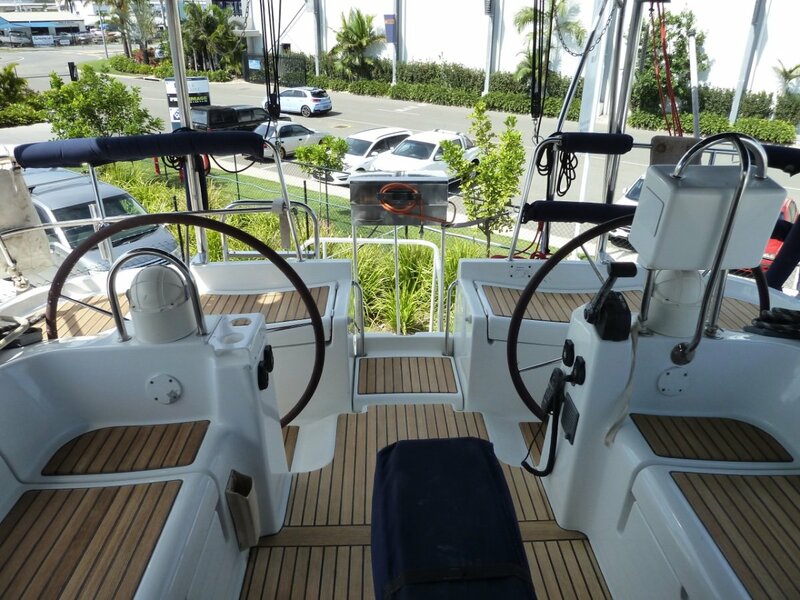 The electric winches and two furling headsails make single handed sailing effortless in any conditions. 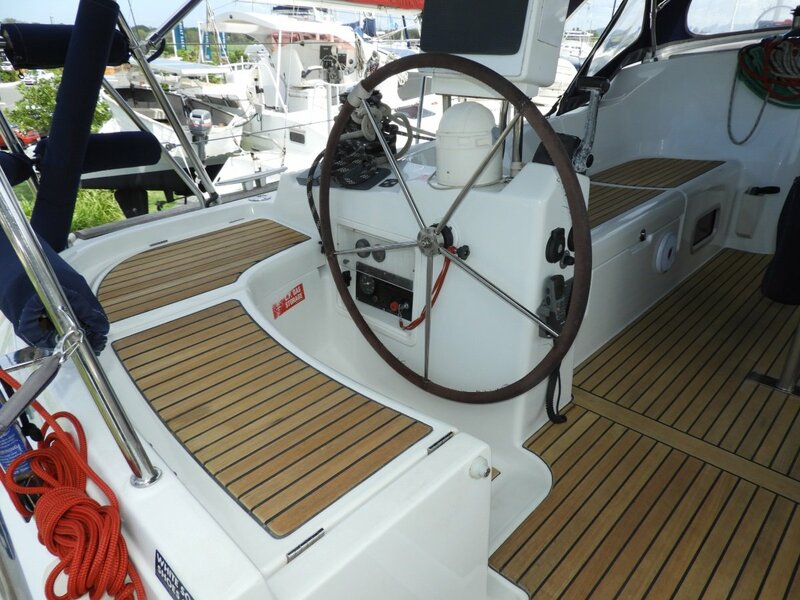 The high gloss gelcoat is in excellent condition as showcased in the photos. 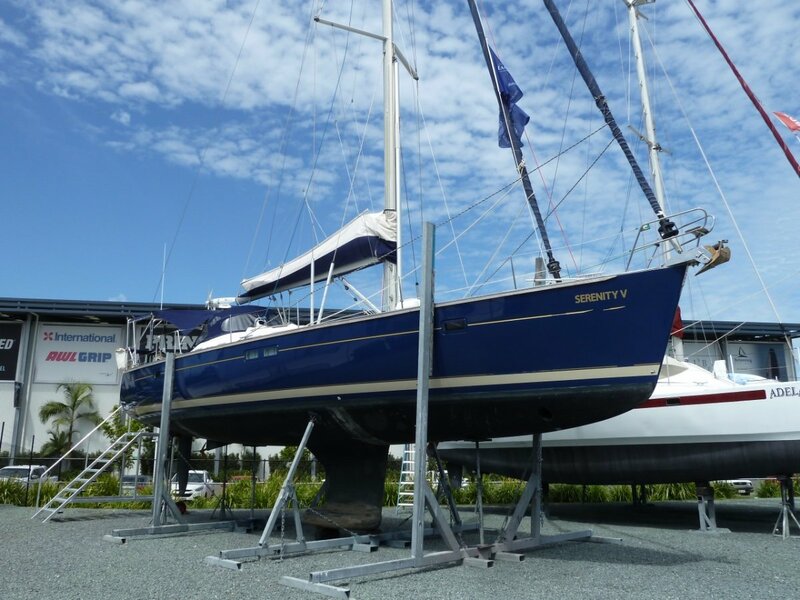 Hinged Stainless steel davit system. 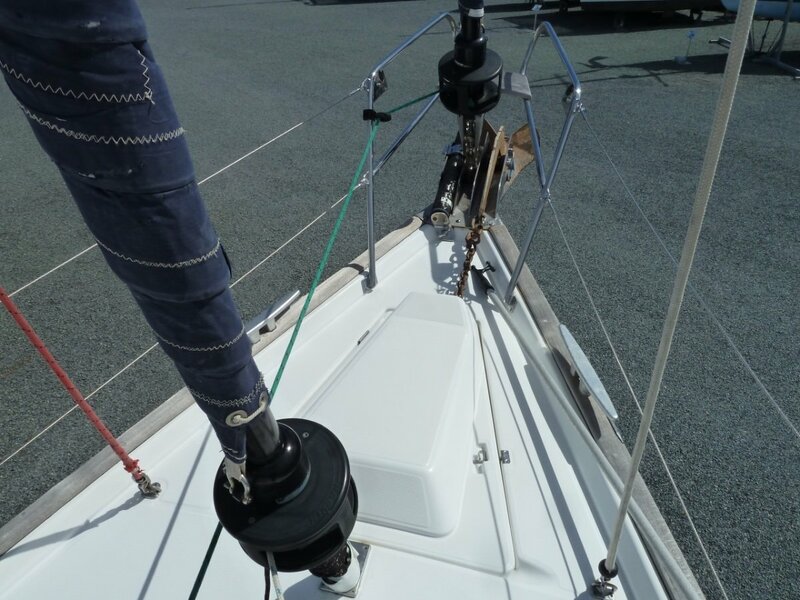 * 1 x Plough with 80M of 10mm chain. 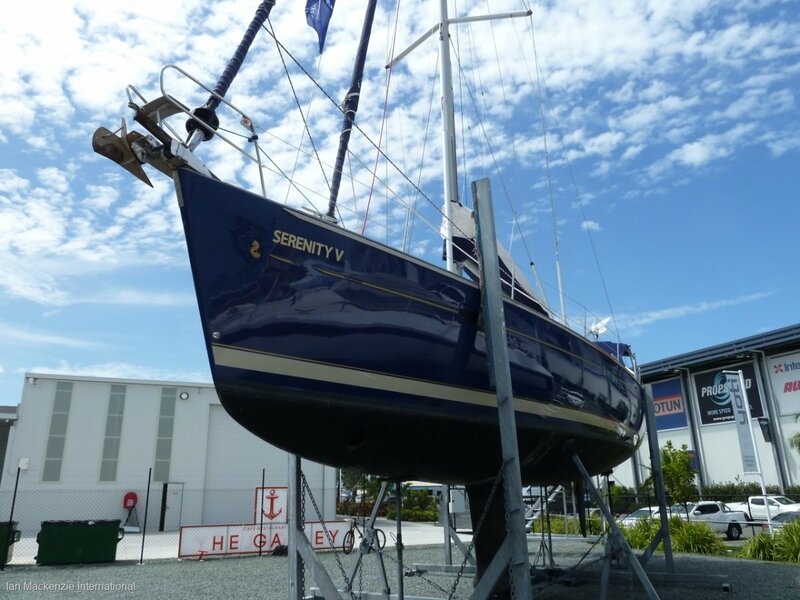 This One Owner Commodore edition model has circumnavigated Australia twice, Cruised the Kimberlie extensively, Tasmania, New Zealand, Tonga, Fiji, Vanuatu, New Caledonia all single handed. 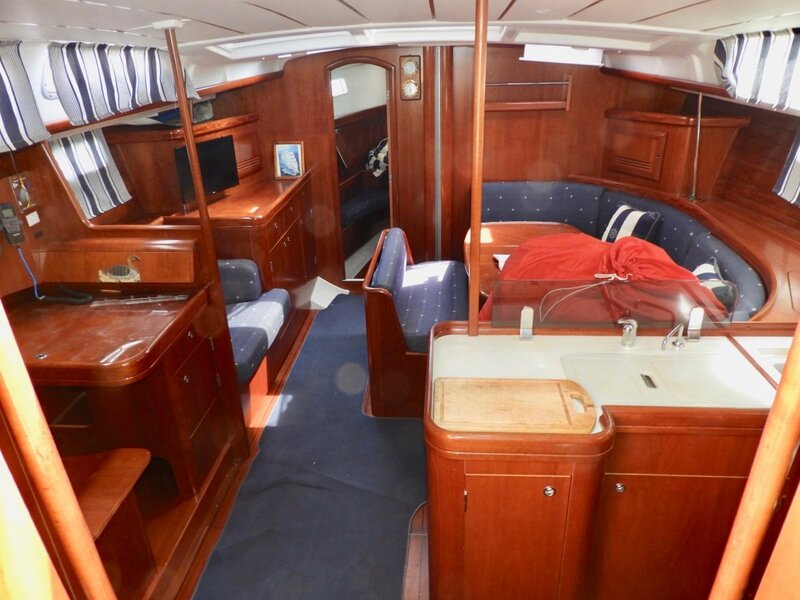 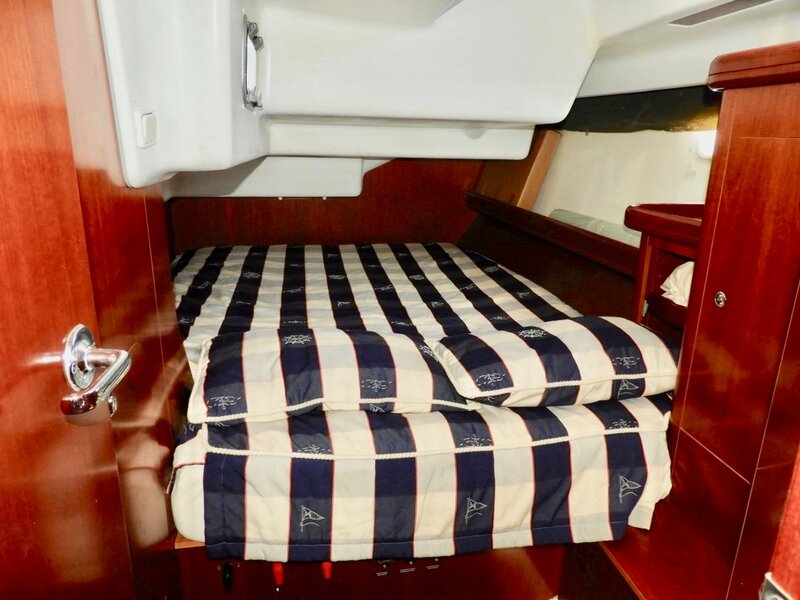 Owner reports it is an easy boat to handle in any conditions and her big volume interior makes for a very comfortable Bluewater live aboard home. 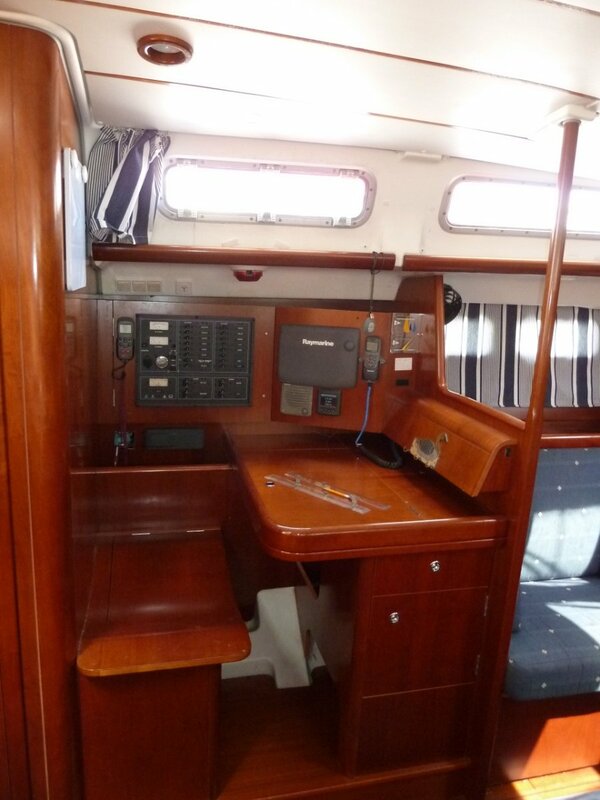 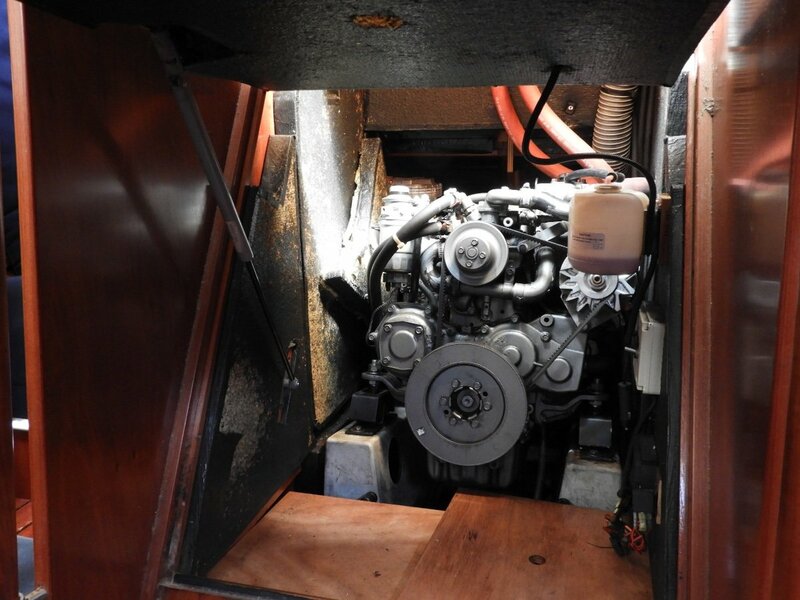 Owner has upsized and doesn't want to be a fleet owner hence his well equipped and proven vessel is priced to sell. 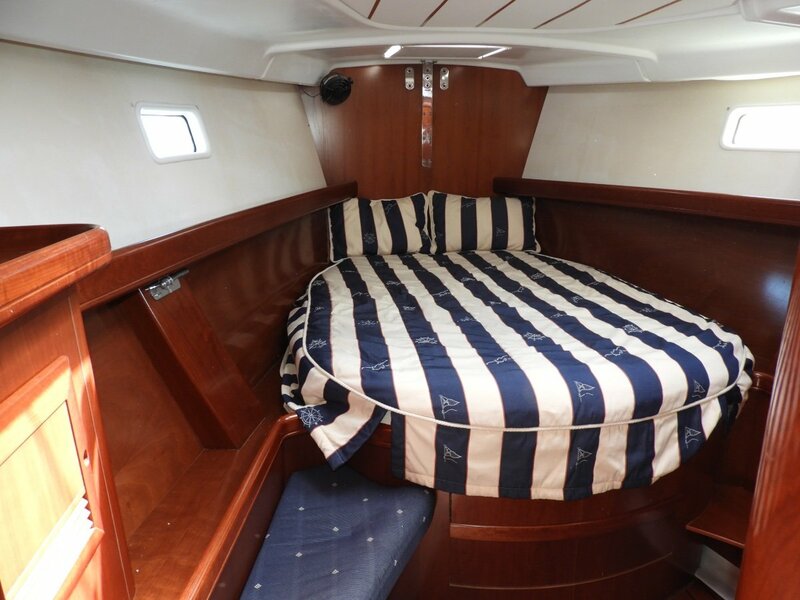 DISCLAIMER: The company offers the details of this vessel in good faith but can not guarantee or warrant the accurancy of this information nor warrant the condition of the vessel. 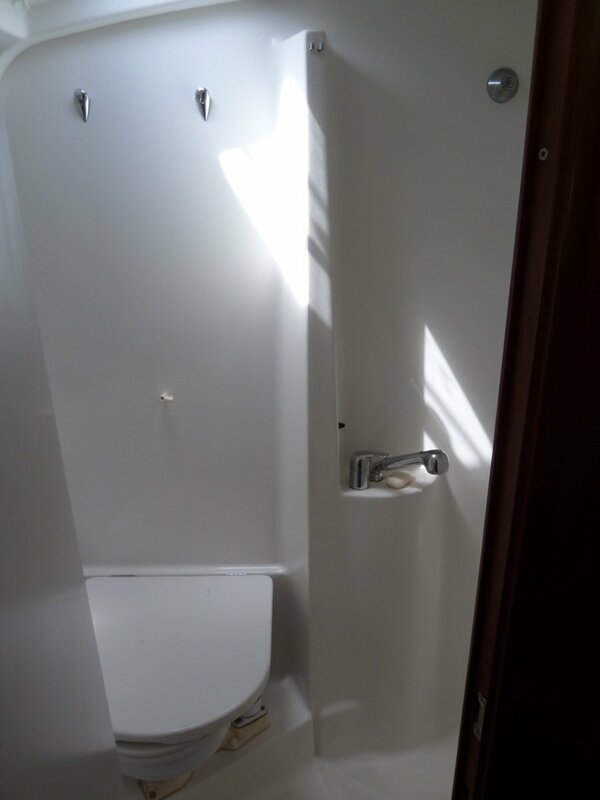 A buyer should instruct his surveyor to investigate such details as the buyer desires. 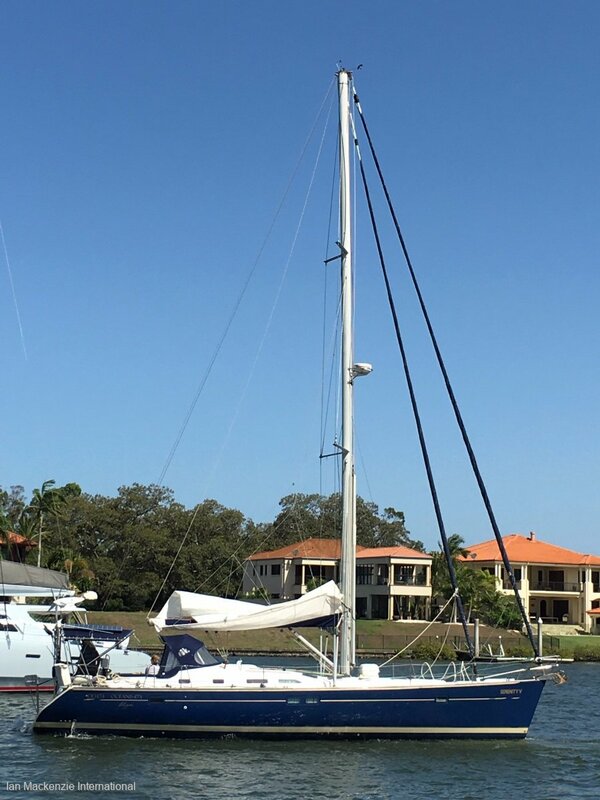 This vessel is offered subject prior to sale, price change, or withdrawal without notice.